* With sleek brushed stainless and rugged rubber edging, this personalized Sporty Fit money clip is ideal for every guy on your list! 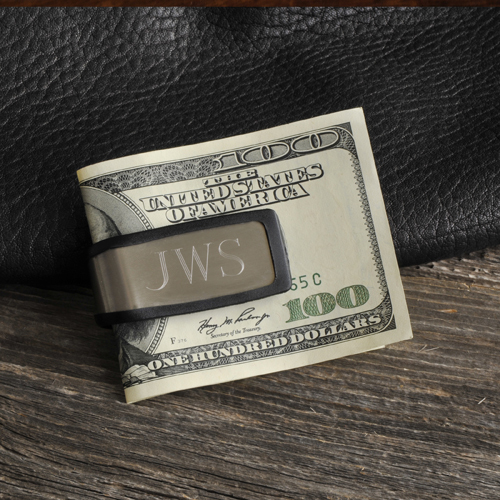 * Sturdy and flexible enough to carry bills and credit cards, the personalized Sporty Fit Money Clip slips easily into his pocket for safe keeping. * Add initials for a personal touch. * Measures 2 1/8" x 7/8" x 5/8". 2.125" x 0.875" x 0.625"